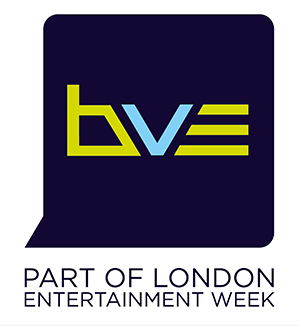 BVE 2016 welcomes the launch of London Entertainment Week reflecting the expansion into the Pro AV and Live Entertainment Technology sectors. The weeks event starts Monday 22 February 2016 with the TPI awards, closing on Friday 26 February. At the heart of the week, BVE will be taking place in Londons ExCeL from Tuesday 23 February until Thursday 25 February 2016. BVE offers the first opportunity for industry professionals to see 2016s latest broadcast, audio, AV and lighting products. Visitors to this years show can expect a variety of exciting new developments, including a host of new co-located events, awards and partner activity as well as a zone dedicated to the Pro AV and Live Entertainment sector as part of London Entertainment Week. The show will once again present over 75 hours of unique seminar content from 150 speakers across the diverse content creation industries; attendees will be able to hear from speakers in theatres covering Production, Cinematography & Lighting, Post Production & Workflow, The Screen @ BVE and in its first year, AV and Live Entertainment. London Entertainment Week brings content from Streaming Forum, NAB and a host of new and exciting entertainment such as the Lock-in on Wednesday night, which includes headline comedy acts including the highly rated Tez Llyas, from Radio four a winner of a BBC New Comedy Award winner and Mae Martin from BBC Radio 4 Extra, Fake Reaction on ITV. In addition, BVE has the comedy circuit favourites Joe Sutherland and Catherine Bohart. Streaming Forum will be hosting a two day seminar which aims to dispense solutions and how-tos to anyone facing the challenges and opportunities presented by delivering live events and live linear channels to multiple screens. Bringing some of the worlds best-known streaming specialists including Tom Griffiths, director of broadcast & distribution technology ITV and Shannon Rutherford director of digital media video operations NFL, USA. Streaming Forums exclusive events are paid for opportunities and are first come first served, so we recommend you book quickly visit www.streaming-forum.com/2016/Tuesday.aspx to find out more. Traditional BVE keynote speakers include; Richard McKerrow, from The Great British Bake Off, Jamie Berry, series producer, Walking the Nile, Jeff Hurlow, creative executive, and head of brand for Vimeo, David Hornsby, content delivery applications manager, ITV, Martin Black, senior systems engineer & sound consultant Sky, Jordan Soles, VFX lead for films such as film from Birdman, The Hunger Games and Game of Thrones. In addition, BVE has BBC R&Ds Peter Brightwell, AMWA Lead. Were thrilled to welcome a host of new exhibitors as BVE expands into the Pro AV and Live Entertainment Technology sector, said Daniel Sacchelli, Event Manager for BVE and London Entertainment Week 2016. Our wider focus recognises the increasing convergence of the Broadcast and AV sectors and I am thoroughly looking forward to the broad range of exhibitors, speakers and visitors we can expect both on the BVE show floor and during London Entertainment Week this year. The expansion of the show floor has seen a surge in new exhibitors including; Pro Audio distributor, Synthax Audio, rigging specialists Le Mark Group and visual technology innovators, Kino-mo. BVE has also witnessed an increase in new exhibitors from within traditional sectors, such as Pixit Media, Convergent Design and Cobbett Hill Earth Station taking space on the show floor for the first time. The new players join returning exhibitors such as Panasonic, Aspera, Vizrt, EVS, Sennheiser, Canon, ARRI, Cirro Lite, Ross Video and Playbox technology (UK) Ltd .
Visit www.bvexpo.com or http://www.bvexpo.com/Content/i2i-Events-Group-launches-London-Entertainment-Week/ for more details over the coming weeks.